We are now live for registration! Please sign up to attend our conference at this link: Register Now! Note: Our conference tickets are free! We are asking for a donation that will go directly to local commissioning an Indigenous Artist for an artwork in the Queen’s School of Medicine Building, through the Queen’s University student-run Indigenous Health Standing Committee. You will have the opportunity to donate either through the eventbrite link, or in person on the day of! We are also accepting certain creative submissions – see more info here! With sickness there is healing; with pain there is hope. And where there is light, there are shadows. Light is the bright blue of a sharp breath, the fierce red of pain, blinding white lights of an operating room and bitter-sweet orange medicine on the tongue. It is in the backdrop of the bleak grey of an ever-encroaching disease. The arts and humanities deepen our understandings of the body, of health, and of medicine. Art gives voice to our lived experiences in sick and healthy bodies. It is a powerful healer, empathizer and provocateur. Art balances the needs of our souls and our bodies. It can cause pain, can heal, and can transform the lives of all people. 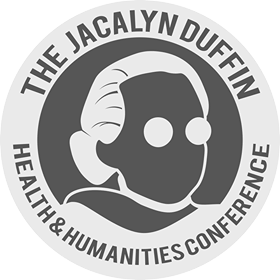 This year, the Jacalyn Duffin Health and Humanities Conference is excited to continue our explorations of medicine, health, and the body through the arts and humanities. Of Light and Shadow is an invitation to explore the brightest joys, the sharpest pains, the deepest sorrows, the most agonizing love, and the darkest hours – and all the shades in between. Head to our Submissions Page for more information about our Call for Submissions!